Co-working space isn’t something new in Malaysia but it has become a trend recently. There are many small and medium size co-working space enter into the market and many of them utilise the upper floor of shop-lot to have their space in it. My assumption on the raise of co-working space may be because the shift of working trend in Malaysia. There are more freelancers, start ups, remotely working employees or business person etc in today’s working style. Although co-working space isn’t any new idea, but it just came fresh into many people’s working space perception and thanks to the trend. Co-working space can be mention as space sharing too, it helped a lot of small businesses saved their cost in renting an office. If you are working individually or work in a small team, co-working space helped you to save your cost and cut down all the hassle of renting an office. You don’t need an agreement nor pay any utilities fees. HSPACE H SPACE BANDAR UTAMA – LEVEL 6.06, MENARA KPMG, 8, FIRST AVENUE, BANDAR UTAMA, 47800 PETALING JAYA, SELANGOR, MALAYSIA. 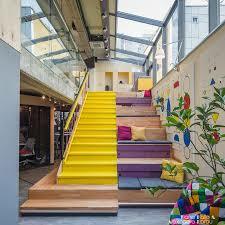 The above list are the co-working spaces that have better SEO ranking in Google search. There are more great co-working space that i might missed out, if you happen to know any of them please let me know.